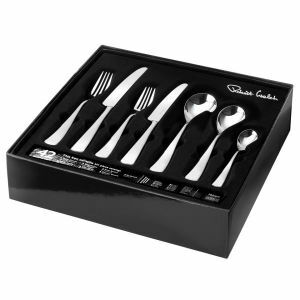 The Robert Welch Warwick 24 Piece Cutlery Set features elegant, well-balanced and comfortable curved handles with a contemporary design and mirror-finish. 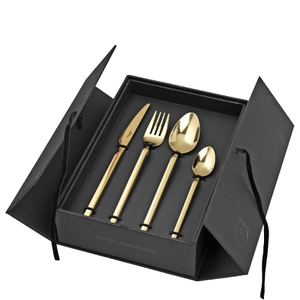 The cutlery set comprises 6 spoons and forks crafted from premium 18/10 stainless steel, whilst the knives are made from stainless steel that has been specially hardened to offer the best possible cutting edge. 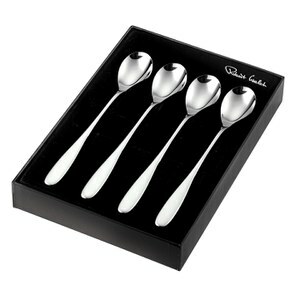 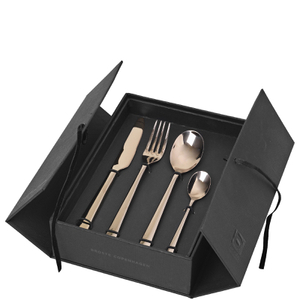 Safe for use in the dishwasher, the cutlery set is housed in a presentation gift box.